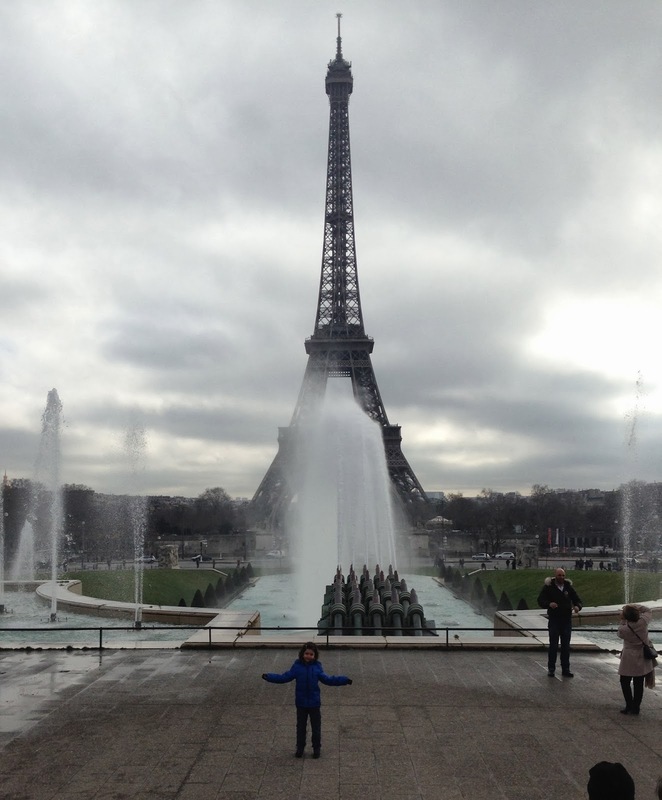 See, that's the thing about the Eiffel Tower. Every time you happen to glance at it, you think to yourself, "Wow, that is so beautiful! I must take a picture!" So you end up with 4,000 photos of it. Here are all 4,000 photos. A dozen wasn't so bad, right? 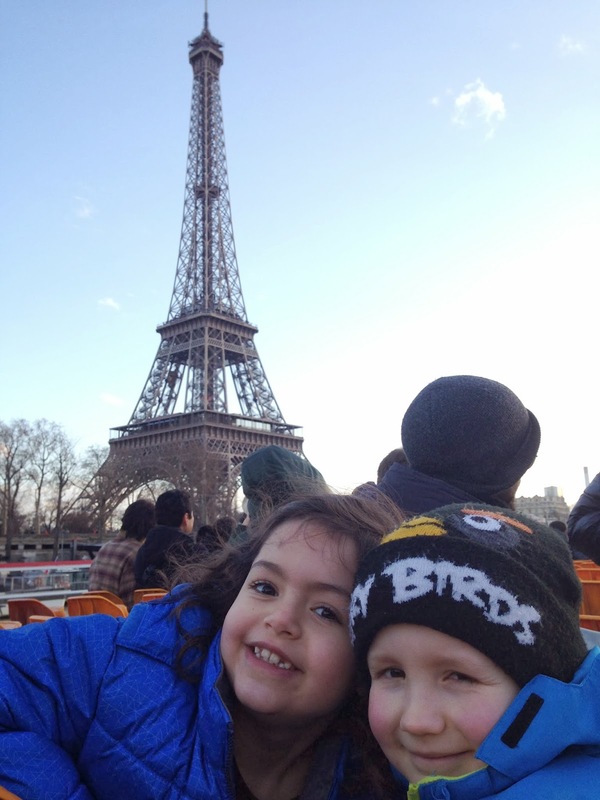 The kids are on Carnival break from school, so we drove (yes, in our fancy "new" car) to Paris for a long weekend. It's only two hours by train, but the tickets are really expensive unless you grab them at the perfect time and further in advance. We opted instead to drive the 3.5 hours and leave the car in long-term parking, relying on public transportation during our stay. Driving in the center of Paris is best avoided when possible. 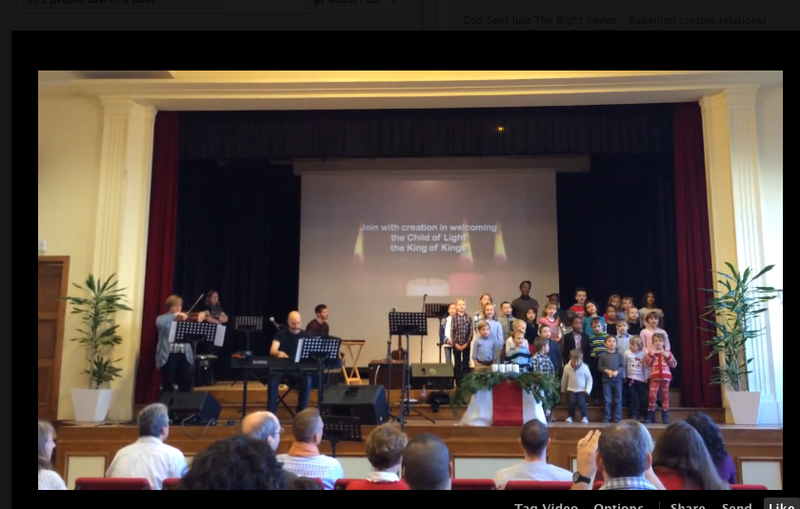 This trip was part "business" part pleasure, as our primary destination was the American Church in Paris to observe their contemporary worship service and meet with the music director. 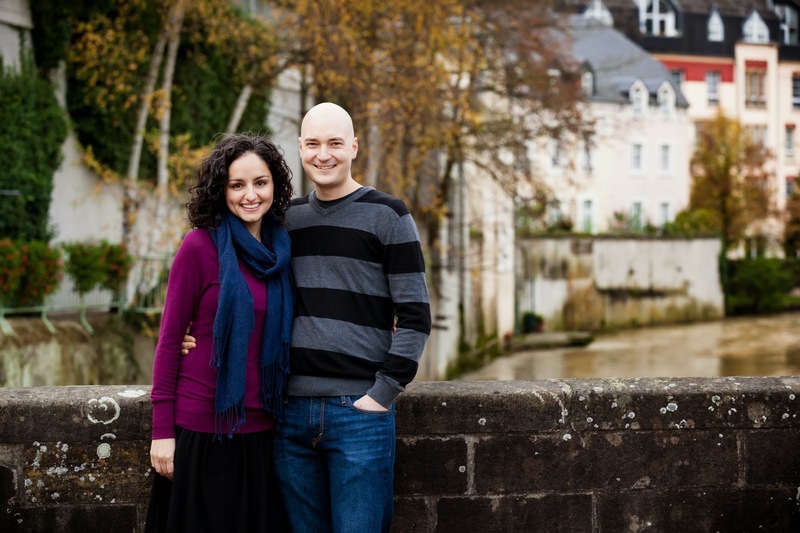 We actually met the head pastor of the ACP several months ago here in Luxembourg at a leadership meeting for our church, and discovered he hails from our hometown in Oregon! We bonded over our Oregonian-ness, and he gave us some great ideas and inspiration regarding building and growing a church music program. He even graciously offered to have the ACP host us sometime if we were in town. Well, that sometime came! 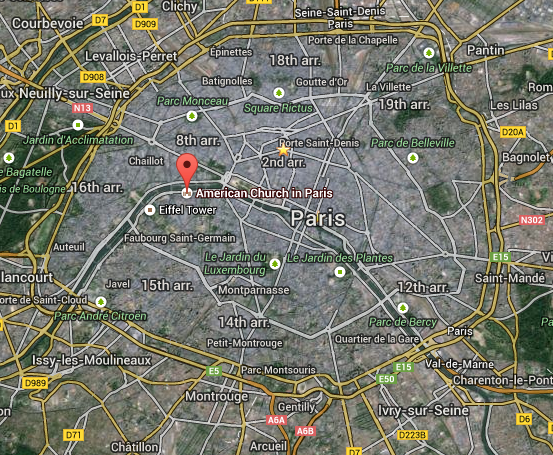 The American Church in Paris is the oldest American church outside the USA, established in 1814. If my math is right, this year is its 200th anniversary. 200 years. When you think about it, that's older than most active American churches on American soil. The ACP has inhabited its current building on the Seine since 1931. The facility also functions a community center, hosting everything from workout classes to a Montessori school. There's its spire to the left of the Eiffel Tower. The building's beautiful facade is currently under restoration. The "parsonage" building on site houses several of the staff, and includes a 4th floor guest apartment. 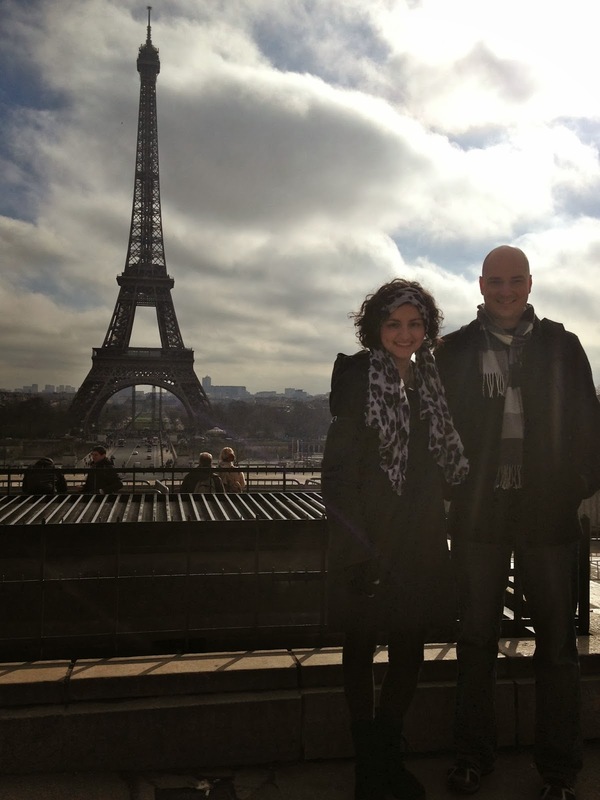 And Pete and I were in Paris on Valentine's Day! Well, with these two monkeys. 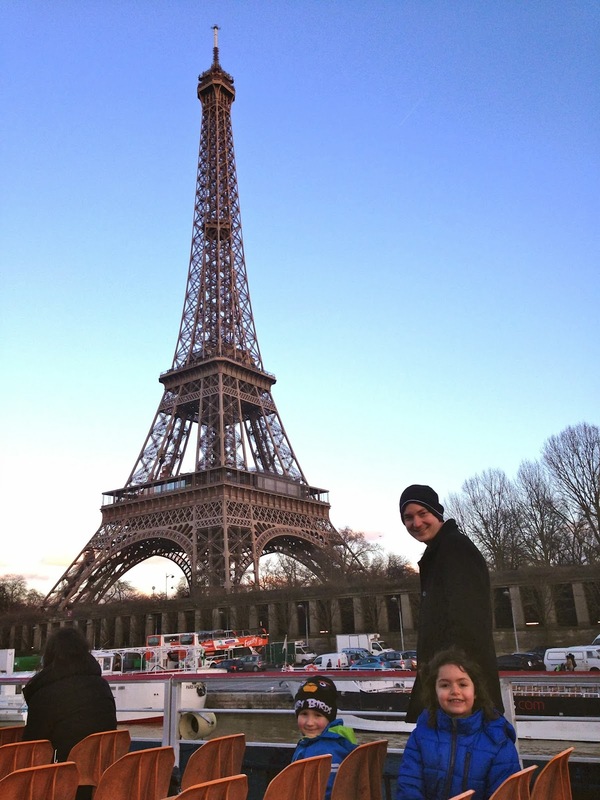 A highlight for all of us was our partial view of the Eiffel Tower, especially when it sparkled at night at the top of each hour. The ACP has a highly respected traditional music program, but its contemporary service is less than a decade old. Nevertheless, they have a group of stellar musicians who put on a great contemporary service at 1:30pm each Sunday (a.k.a. 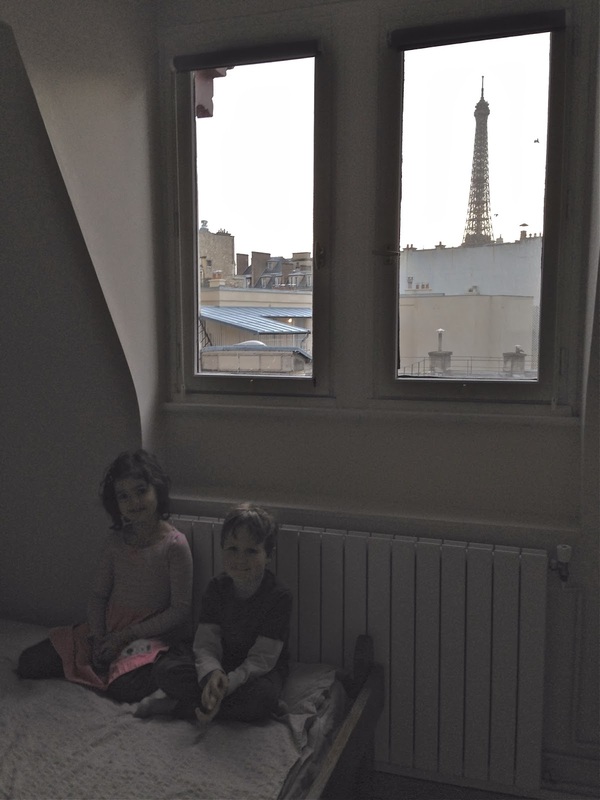 the crack of dawn for young Parisians). 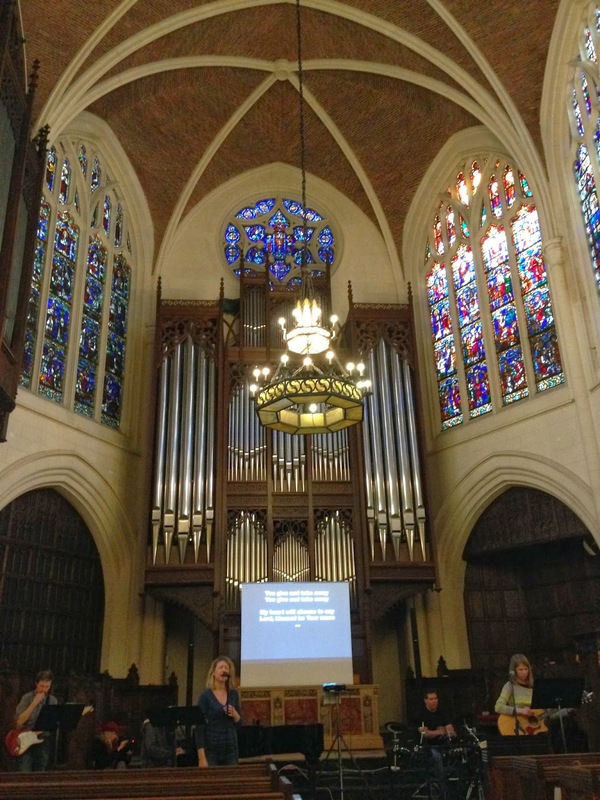 We were privileged to attend their Saturday rehearsal as well as the service on Sunday, and then we met with the director on Monday to discuss all our questions, ask for advice, and learn from her experiences. 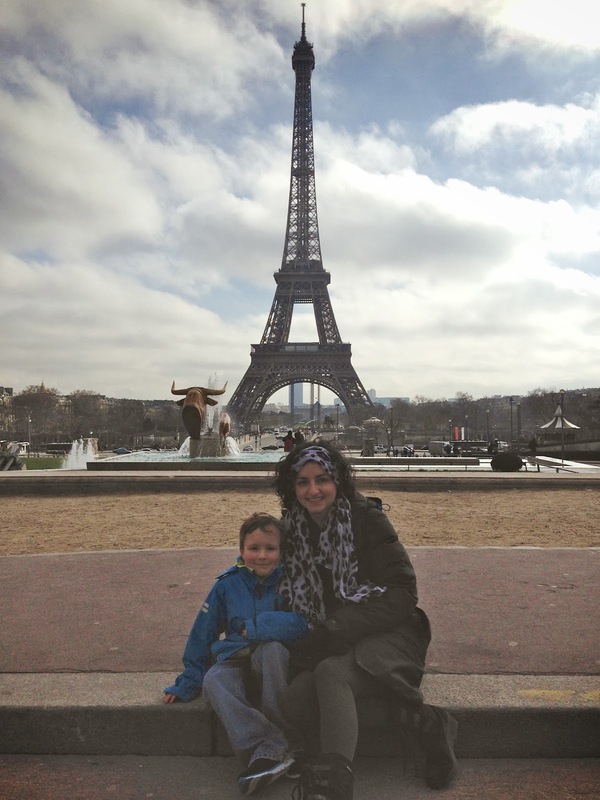 This all may sound like a boring time in Paris to you but it was completely fascinating and fun for us! Even the kids told us the music at church was a highlight of the trip. Perhaps this means we have thoroughly brainwashed them, but I suppose there are worse things than enjoying music. We still managed to get out and about some, though. 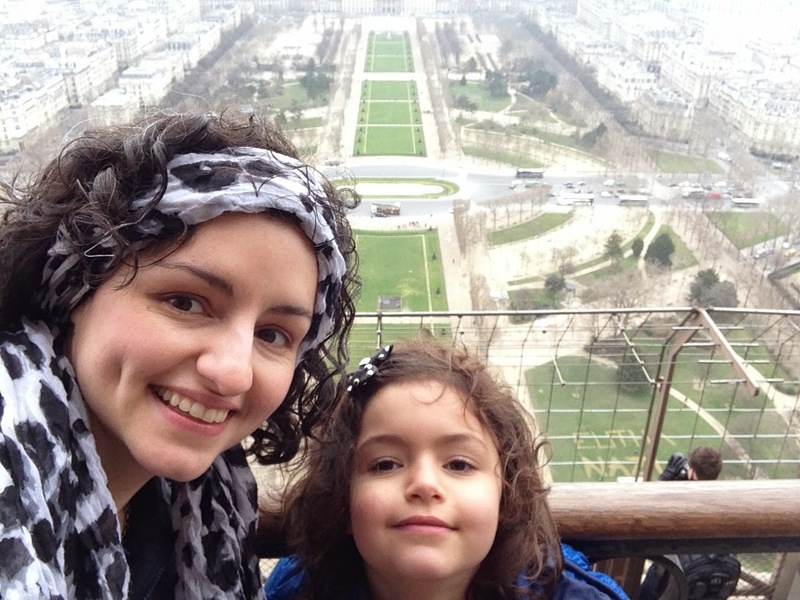 Daphne's had her heart set on visiting Paris, and specifically climbing the Eiffel Tower, for several months now. She keeps a little album of postcards from each city we've visited, and she's told us many times, "I just need to go to Paris. Then I won't have to go anywhere else in France. I can go some other places too if I want to. 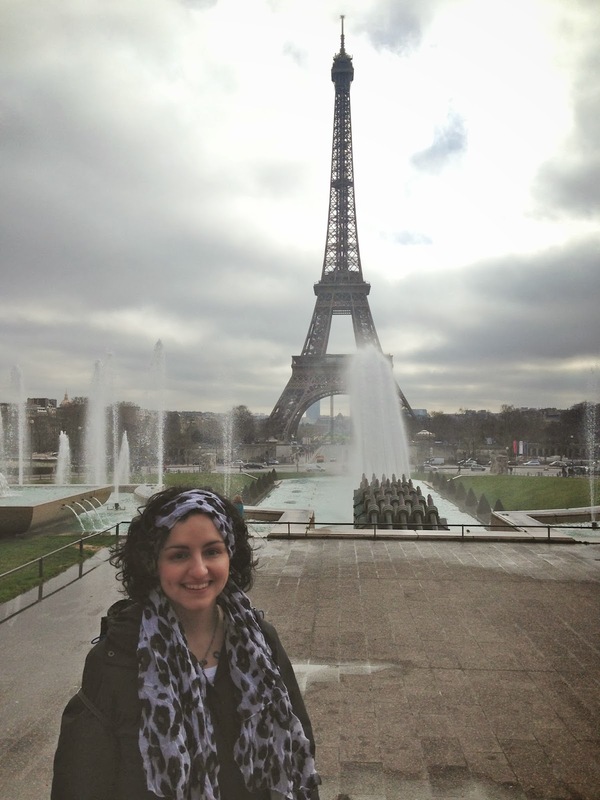 But I have to go to Paris." For a variety of reasons, we decided to only ascend to the second level instead of ride to the very top. The view was still spectacular and Daphne seemed quite satisfied. We climbed the stairs (with no advance reservation and there was no line), and at only 16 € for the four of us it was one of the cheapest things we did our whole stay. 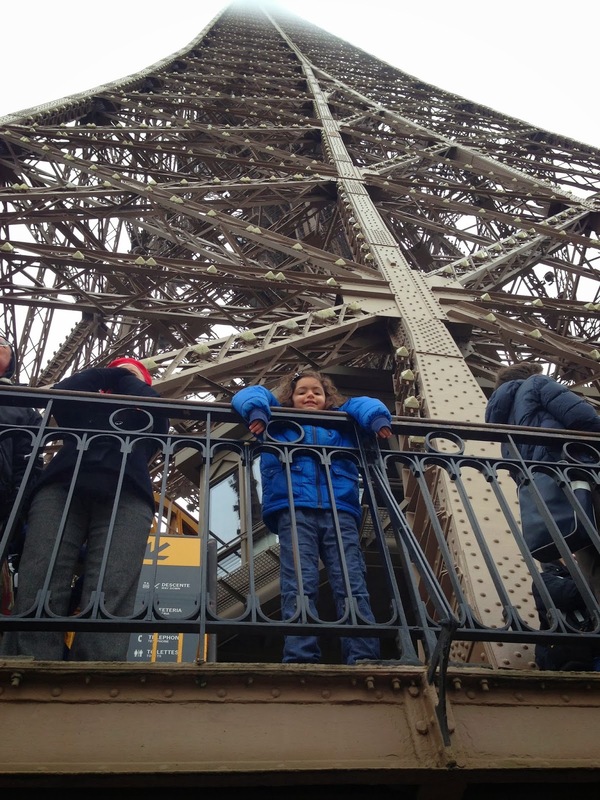 We also figured that when you all come visit or we meet you in Paris soon, we'll go to the top together, right? 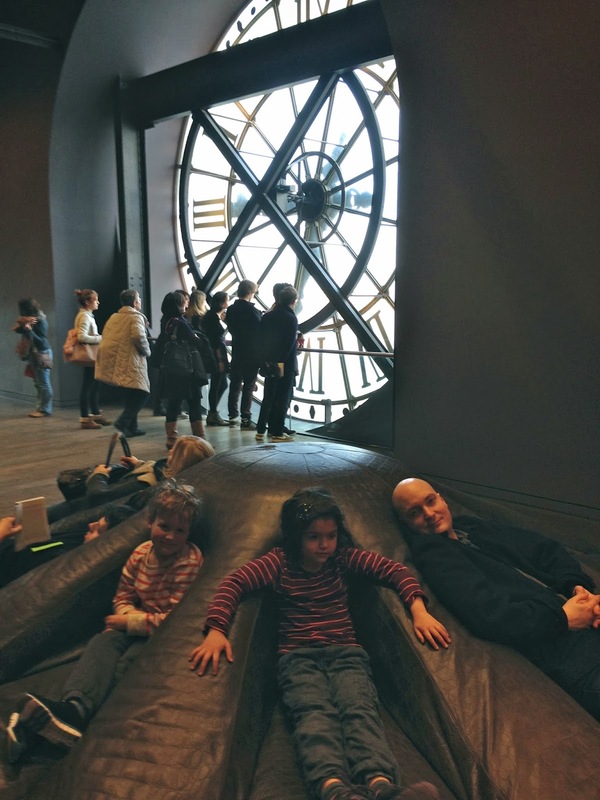 On Saturday after the rehearsal we visited the close-by Musée d'Orsay at the discounted-after-4:30pm rate. We only had about an hour to look around, so I threw together a quick scavenger hunt on notebook paper for some of the most famous Impressionist and Post-Impressionist paintings and artists. I think we saw most of them on my list! It was quite a whirlwind tour so I'm sure we'll be back another time. Daphne especially loved it, and it was also quite meaningful to me: I first fell in love with many of these paintings while looking at them books when I was about Daphne's age...very cool to see them in person. We've learned that boat tours are usually a hit with our kids when we travel, and the Bateaux Mouches dock is just across from the ACP. 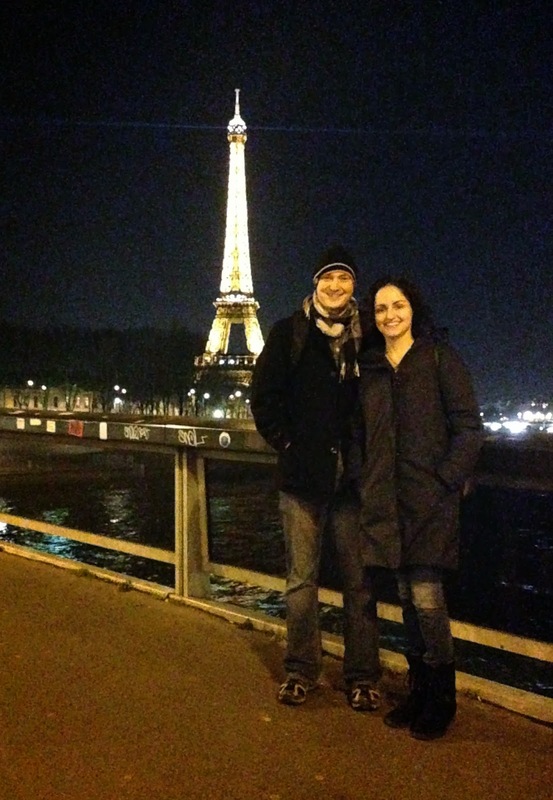 And, of course, our favorite thing to do when we travel is "walk around and look at stuff," so we did plenty of that. Can't beat exercise and can't beat free. blue coats, blue bus, and blue sky! Did I mention blue sky? 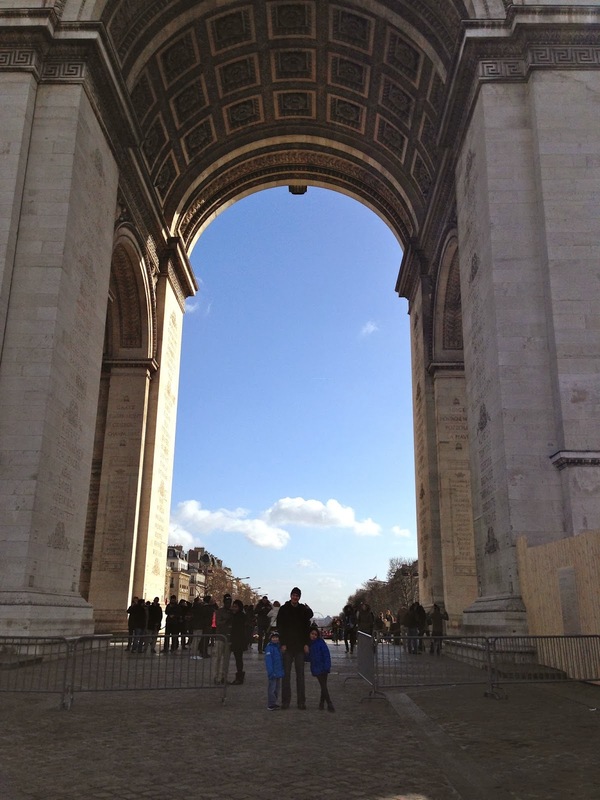 We were quite fortunate for Paris in February. It only hailed on us once. And the aftermath was nice. 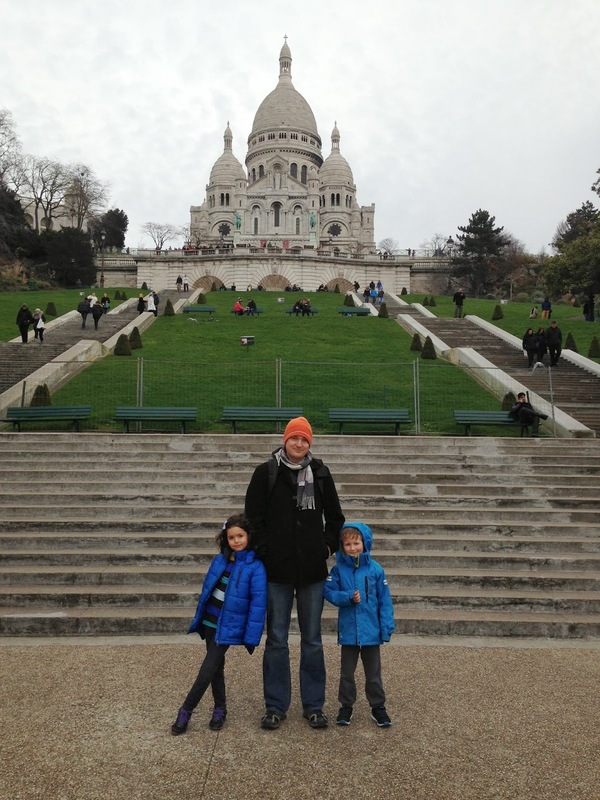 We took just one longer métro ride to Sacré-Cœur before heading back to retrieve our car. 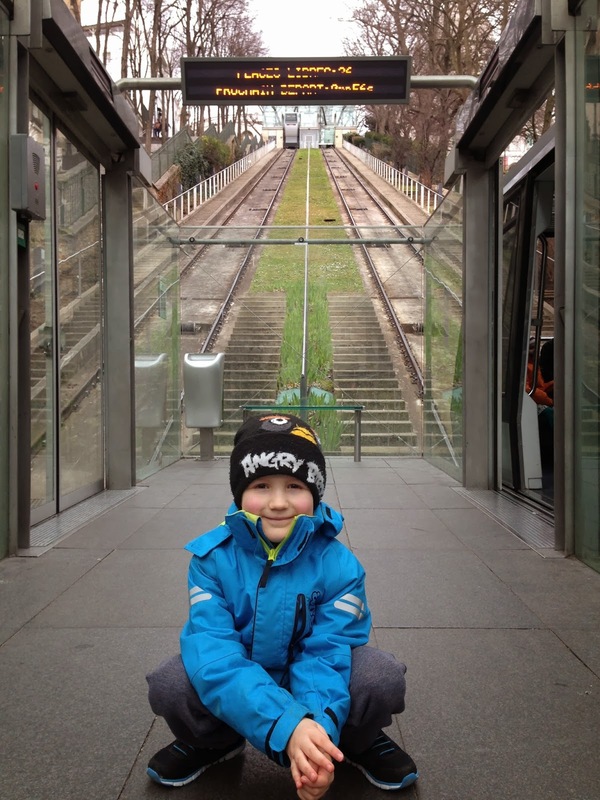 Now I finally understand why that silly funicular to the top exists...to lure up 6 year old boys who've already had their fill of sight-seeing for one day. Pete and Daphne took the stairs. We try to eat at least one typical local food out when we travel somewhere. 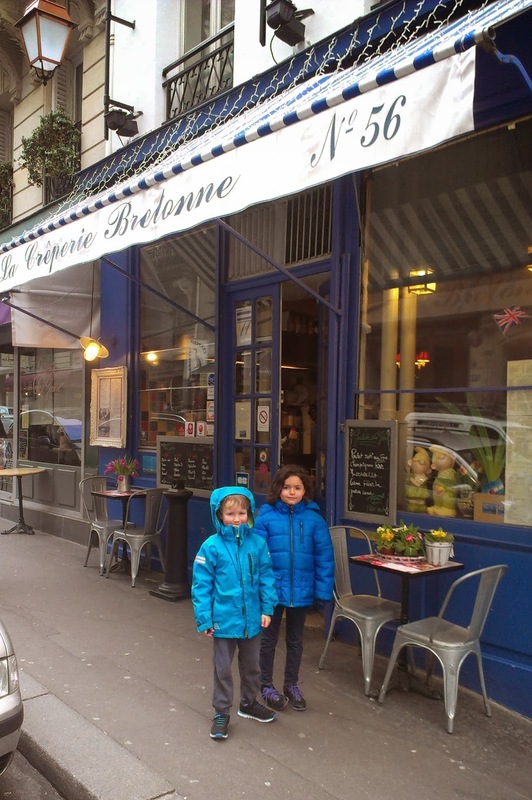 In addition to a constant stream of fresh baguettes brought back to our apartment, we chose crèpes this time. We tried a few kinds and all were delicious, but 3€ for a butter and sugar crèpe is pretty much perfection. Plus it was nearly empty except for the chefs next to us. 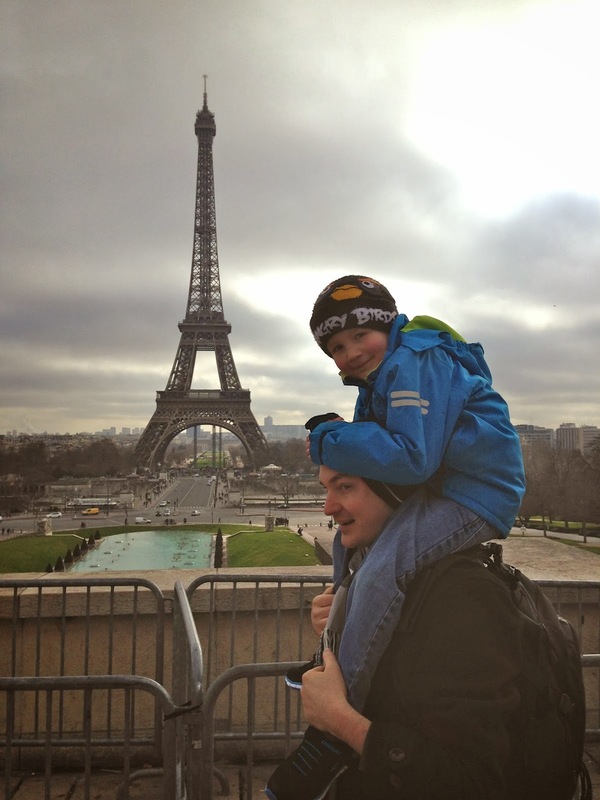 This was definitely a memorable trip for all of us - the kids' first time ever in Paris (loved it, devastated to leave), Pete's first time not-for-work-and-not-by-himself, and my second time here, this time not by myself and for more than a few hours. 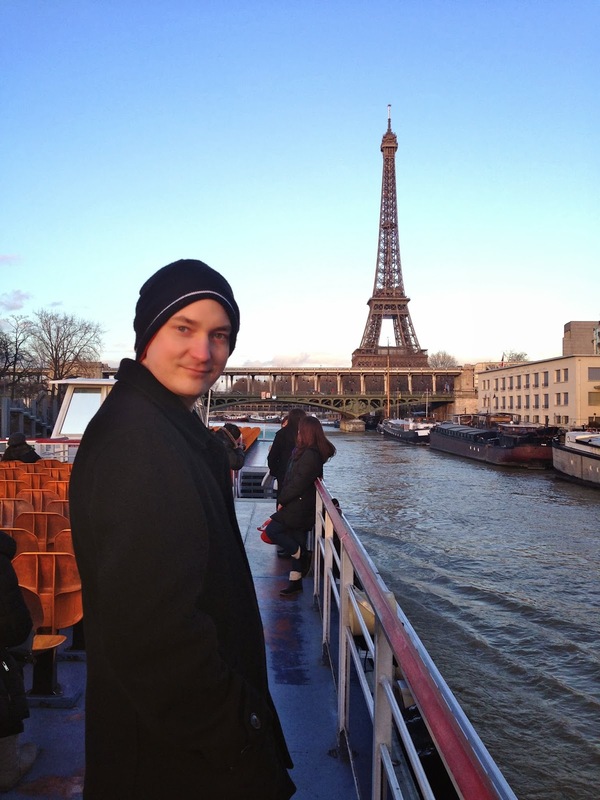 Paris has its share of faults and flaws to be sure, but its difficult not to love it just a little bit. 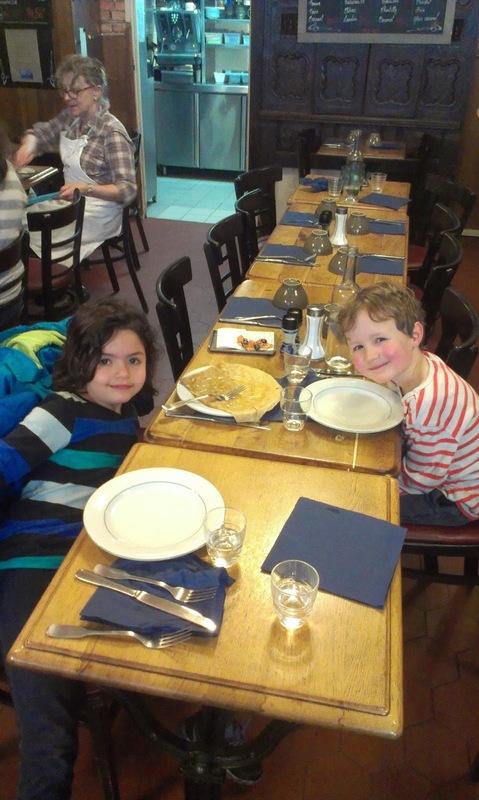 Daphne summarised her experience this way: "If I have a boyfriend when I'm older, I'd want to bring him to Paris." Here's a quick recap of our December 2013. Better late than never. 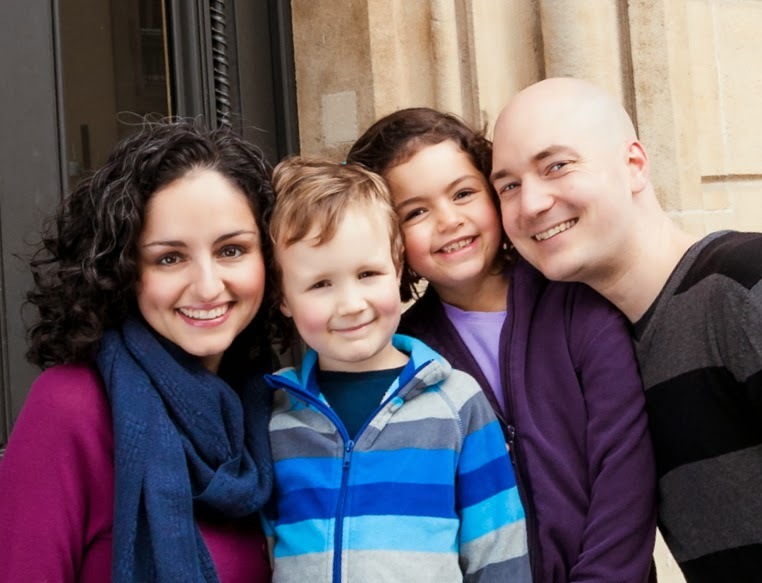 As per our annual tradition, we had family photos taken. This year we had a little extra fun with it, including some "on location" shots around the city. The Ts have two December birthdays, with Pete's birthday exactly one week after Daphne's. I surprised him with a cake make by our Luxembourgish friend; his family owns and runs a bakery called "The Crazy Baker." Most of their cakes are like this. You'll just have to trust me on this one. 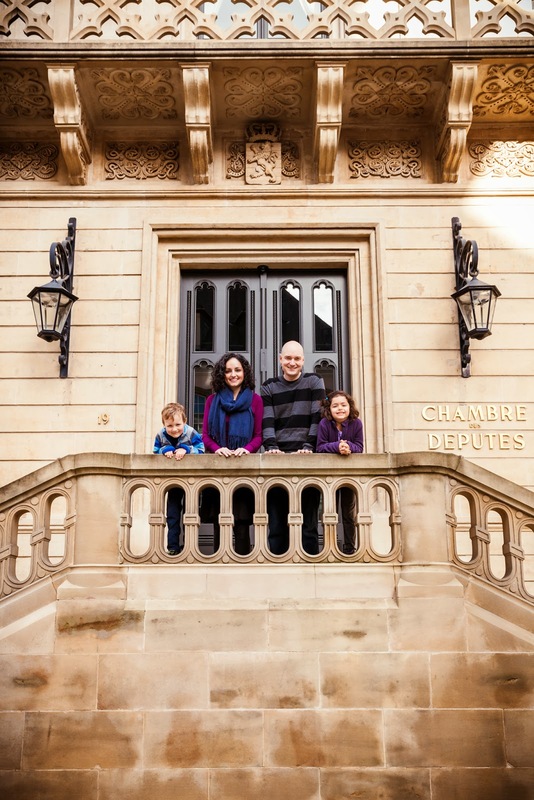 Luxembourg has its own brand of "whimsy." 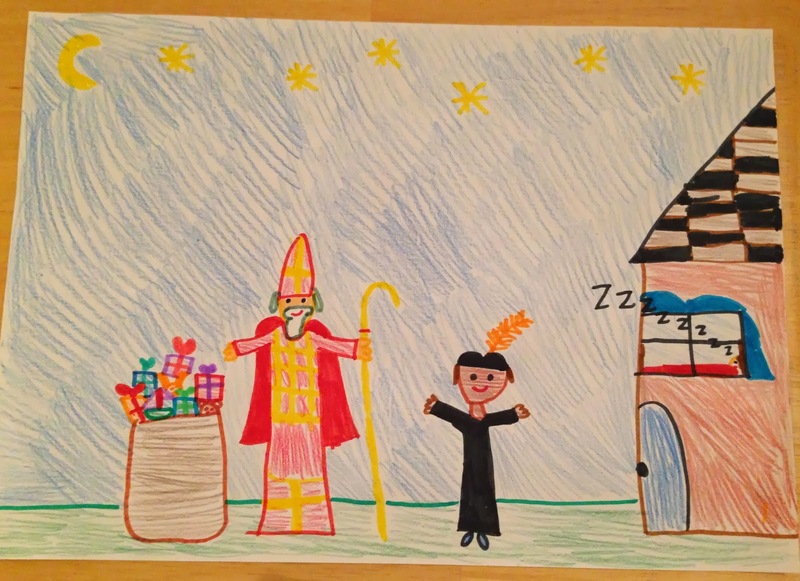 On the eve of December 6th, the Klees'chen (St. Nicolas) visits Luxembourgish children and brings gifts, along with his trusty sidekick, Black Peter. (You can read all about it in this post from last year). Illustrated by Daphne. Our kids got some chocolate and an orange in their shoes that they left on the windowsill. 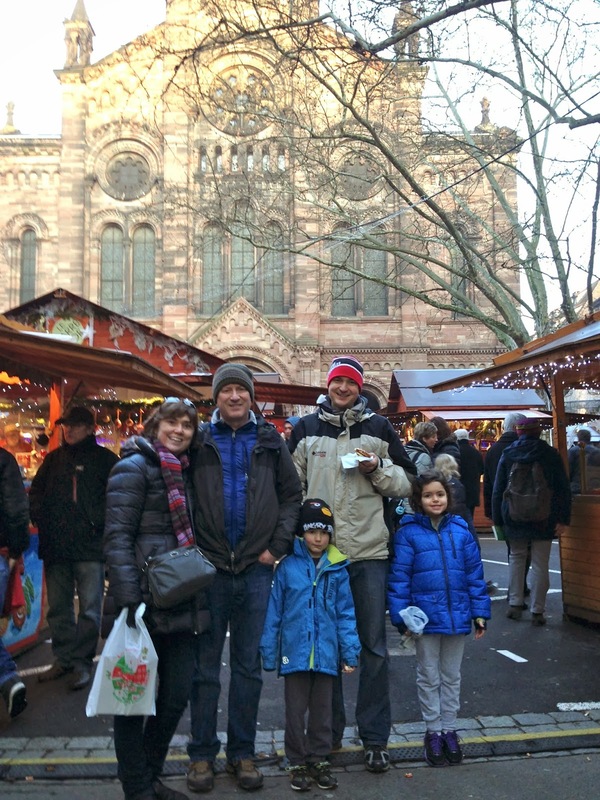 This year we all tasted our first chestnuts roasted on an open fire. 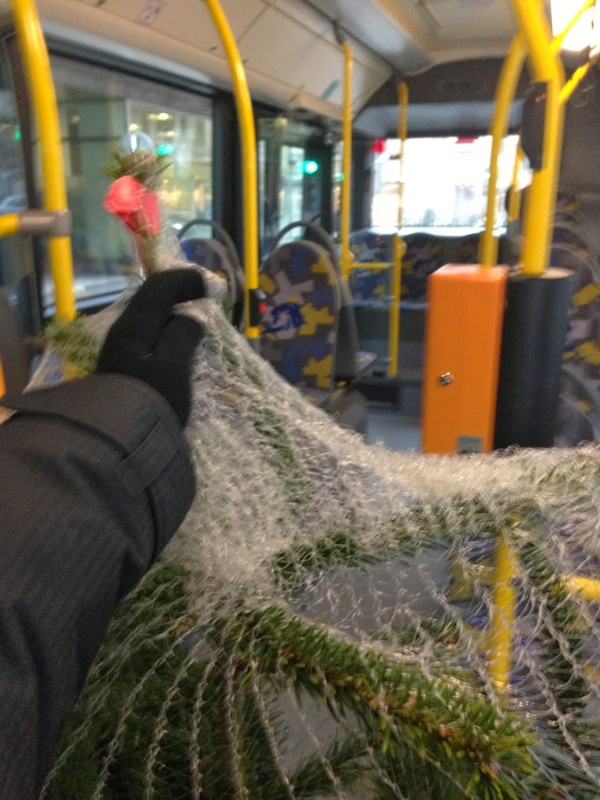 For the second year running, I carried our Christmas tree home on the bus. 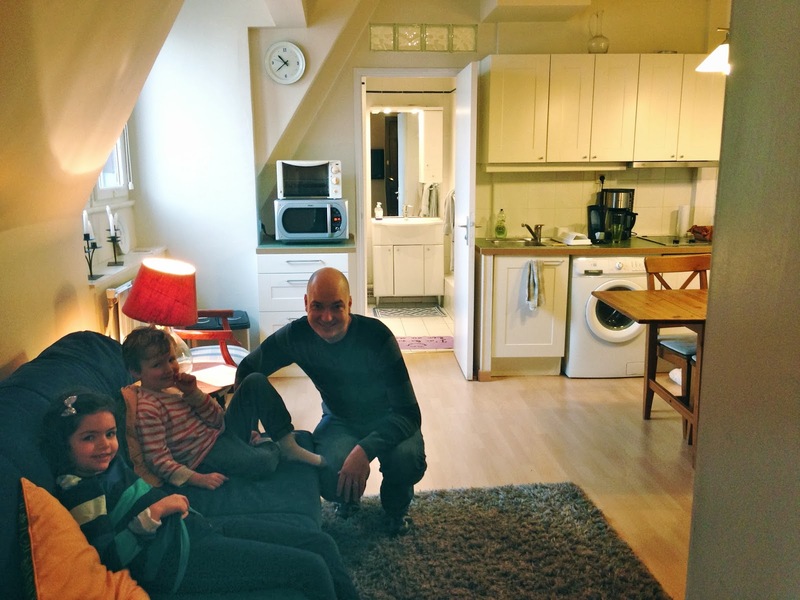 In addition to St. Nicolas Day, many families here also celebrate Christmas and Santa Claus. 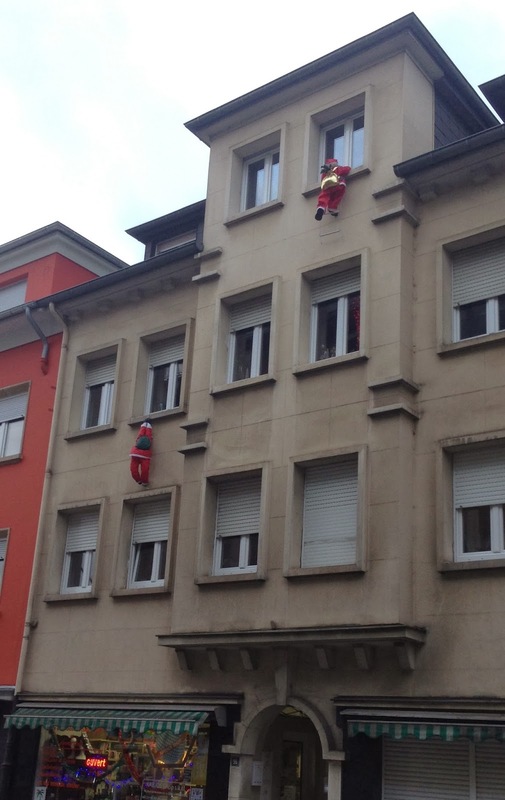 Ever wondered how Santa gains entry to apartments? These little guys are all over Luxembourg in December. Last holiday season, we were just beginning to get involved in the music at our church. This year, we ran the music for six services in December, including a Christmas Eve candlelit service of lessons and carols. 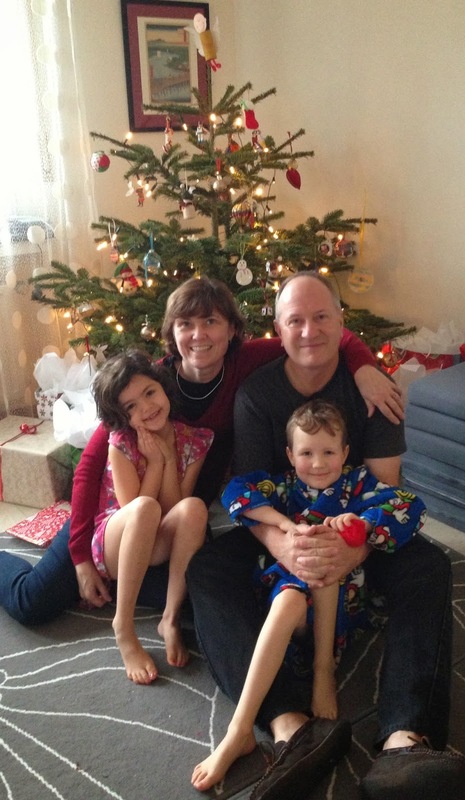 And then, the weekend after Christmas, some special guests arrived! 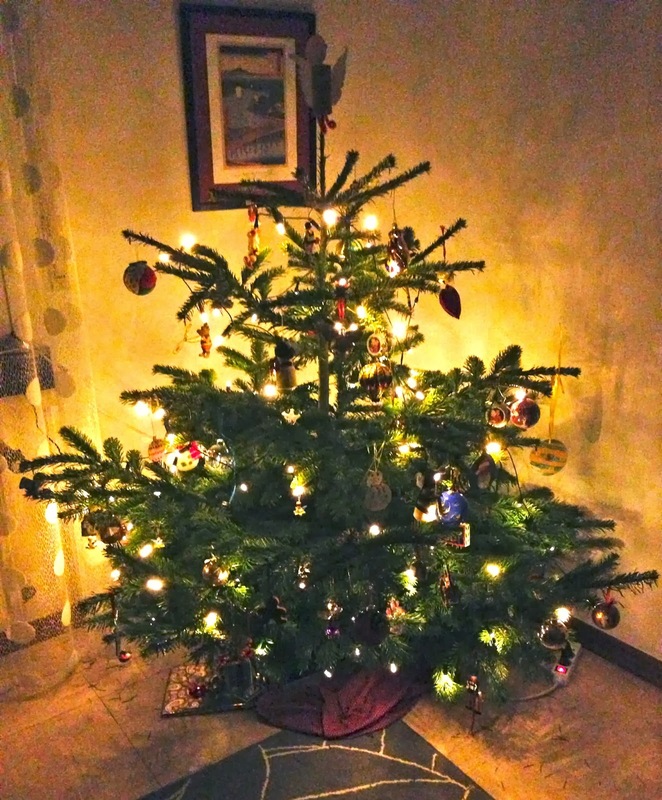 We spent the following week celebrating Christmas #2 with Grammy and Grandpa. and 3 out of 4 of us got piano lessons! Pete gets some tips on his form. Normally, the kids don't receive gifts from Pete and me for Christmas. We fill their stockings with snacks, socks, and the like, and that's it. This year, however, we decided to get them each a Kindle Paperwhite. Books in English can be hard to come by here, and we thought this would be a great way to help them keep up their skills and interest in reading in English. Grammy and Grandpa brought them along for us (cheaper to purchase from the US Amazon site). 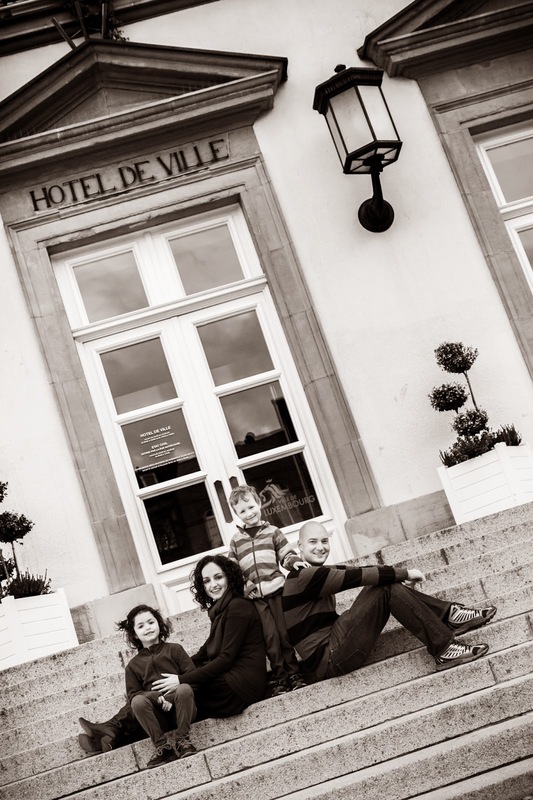 After church on the 29th, we all headed to Strasbourg, France on the train. 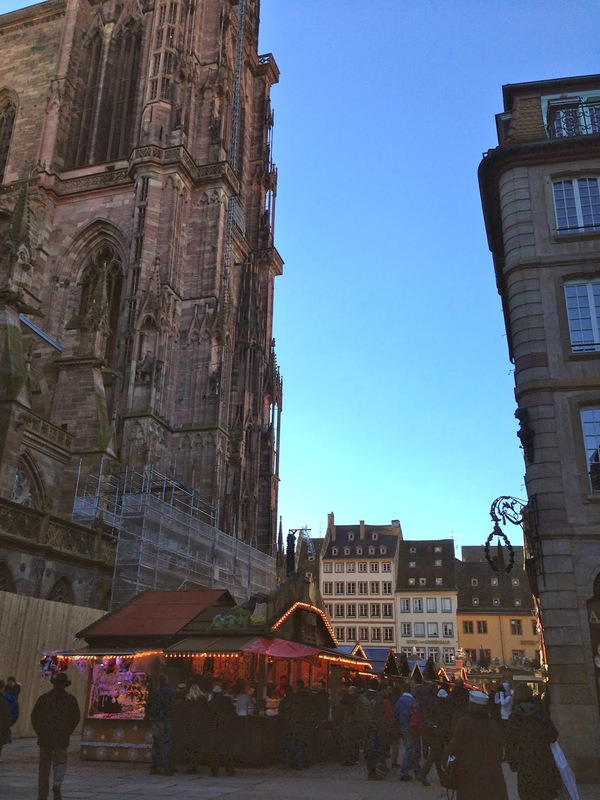 Strasbourg hosts one of the most famous and largest Christmas markets in Europe, and it's one of the only markets that runs all the way until the end of December. 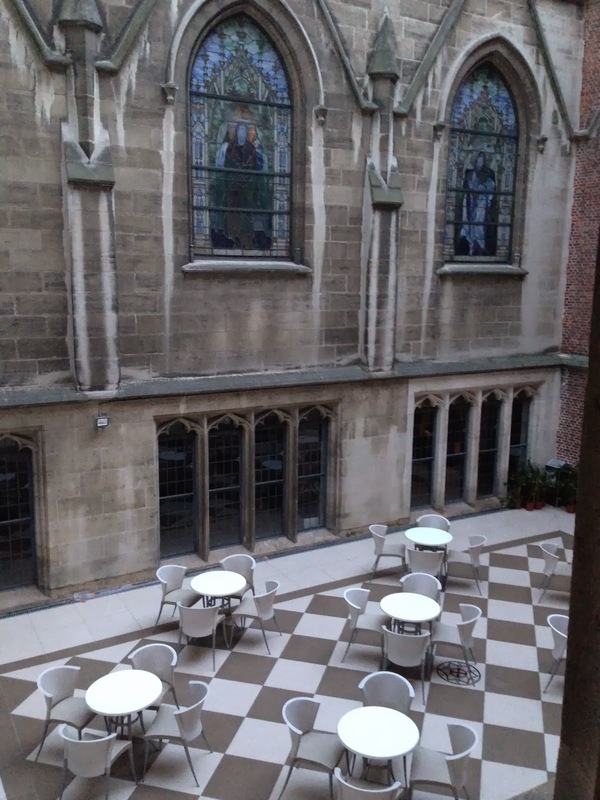 We stayed one night in a hotel and visited the market the following day. lucked out on weather, eh? vin chaud, the only wine I kind of like! Christmas was much less lonely this year. So that was our December! You can read last year's post here.